The decision to review the glider repeal plan came after testimony largely in opposition to the proposal for repeal from environmentalists, scientists, academics and trade groups at the EPA’s Science Advisory Board meeting May 31. In addition, some members of the board “chastised” the agency for the basis of its Nov. 16 proposed rule that relied on a “recently disavowed special-interest group study and cherry-picked comments” from the docket, said Glen Kedzie, vice president and energy and environmental counsel for American Trucking Associations. ATA opposes the repeal of the glider regulation. The advisory board is a 40-member expert panel that reviews EPA research programs and plans, provides science advice as requested by the EPA administrator, and advises the agency on broad scientific matters. However, the EPA administrator is not legally bound to recommendations made by the advisory panel. “The chairman of the SAB will send a letter to Administrator [Scott] Pruitt summarizing the discussion regarding planned actions,” said an EPA spokeswoman. The proposal for repeal has not yet been forwarded to the White House Office of Management and Budget for review, the spokeswoman said. SAB Chairman Michael Honeycutt, director of the Toxicology Division of the Texas Commission on Environmental Quality, did not return a message seeking comment. The glider proposal for repeal was in part justified by a Tennessee Tech University study that is under investigation for research misconduct, and a claim by the EPA that it does not have the legal authority to regulate gliders because they cannot be treated as new motor vehicles. An EPA study made public on Nov. 20, just four days after Pruitt’s proposal for repeal, said that emissions from two glider vehicles tested under highway conditions had nitrous oxide emissions 43 times higher than new trucks and particulate matter emissions 55 times higher. “The scientific and technical statements in the proposed rule, and the scope of analyses in the proposed rule, are dubious and highly questionable,” the work group wrote. The work group noted that the proposed repeal rule lacks transparency regarding the sources of and basis for data regarding costs, emissions, life cycle implications and safety. 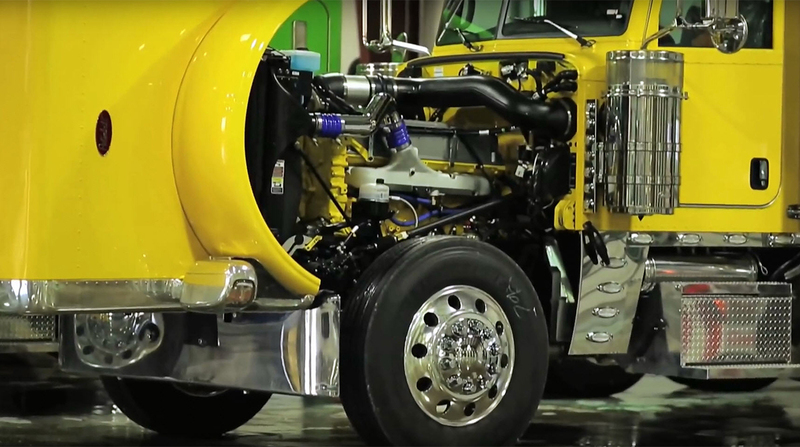 “EPA failed to take into account its own study, published four days after the proposed rule, that shows that glider truck emissions can be substantially higher than those from conventionally manufactured trucks,” the work group wrote.